Cool, creamy and delicious – this vitamin-packed smoothie not only tastes great but is full of protein and fiber to give you lasting energy. As you probably know by now, I am smoothie obsessed. 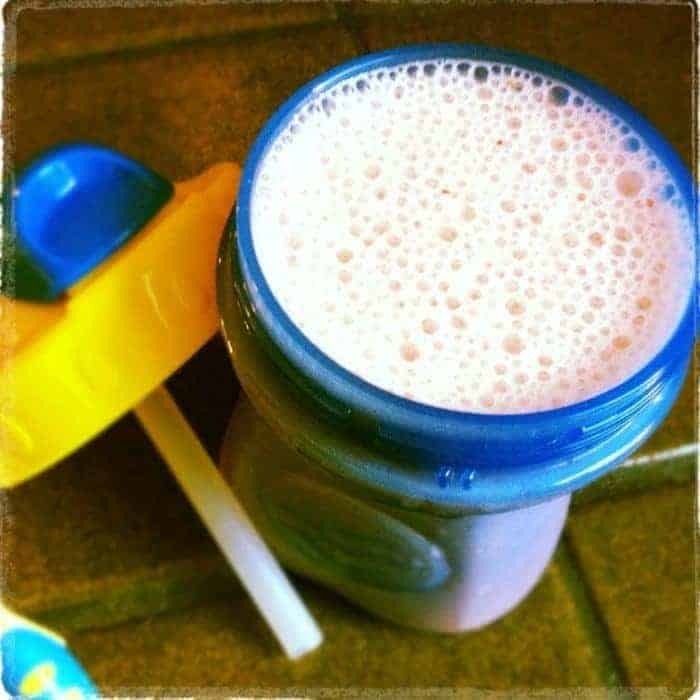 I loved smoothies before I became a mother but once my son started eating yogurt at around 8 months he has been drinking smoothies almost daily. Smoothies are the ideal breakfast-in-a-glass packed with vitamins and nutrients to give you lasting energy. Dairy has always been an important part of my healthy lifestyle but now that I’m pregnant I pay even more attention to getting my 3-a-day servings. Milk contains nine essential nutrients, making it one of the most nutrient-dense beverages you can enjoy. Milk is the single greatest source of three of the four nutrients the Dietary Guidelines identified as lacking in the American diet – calcium, vitamin D and potassium. Cool, creamy and delicious - this vitamin-packed smoothie not only tastes great but is full of protein and fiber to give you lasting energy. If using frozen berries or bananas, feel free to reduce the amount of ice you add before blending. Disclosure: I was hired by the American Dairy Association Mideast to create a smoothie recipe in honor of June Dairy Month. As always, all thoughts are 100% my own. Hi John – If you’re using frozen fruit you don’t need to add ice. You could always just add water to thin it out a bit too! Delish! I didn’t have the flaxseed, and I used honey Greek yogurt instead of vanilla. It was great and my 6 year old daughter loved it, too! Thanks. Perfect substitutions!! So glad you and your daughter enjoyed!!! 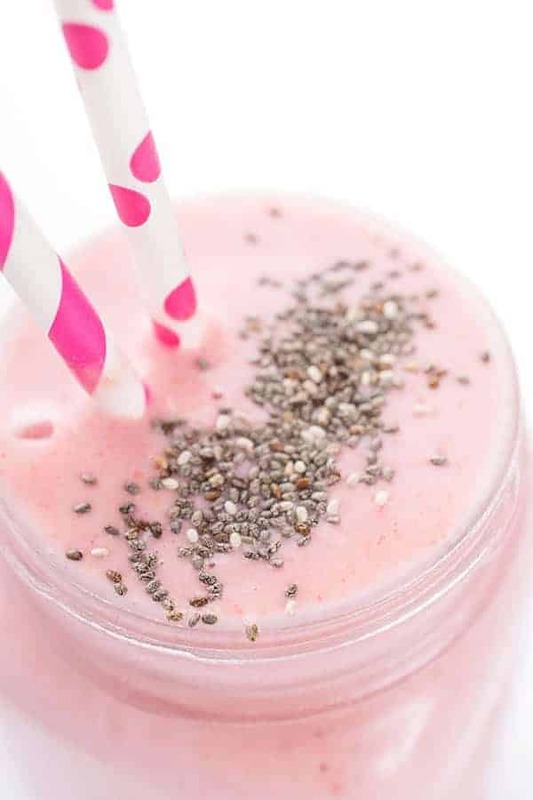 I am loving this smoothie and I happen to have everything on hand too :) can’t wait to whip this up! There is no way I am going to feed my family anything but organic dairy products. Love smoothies and your recipes, but I only make them with dairy that is certified steroid and antibiotic free. The dairy industry now wants to add aspartame in milk to make it taste better (sweeter – like we need more sweeteners in our foods) and not have to tell you about it! Bet they didn’t mention that in your visit to their farm. Thank you for your comment. I’m so glad to hear you love my smoothies and other recipes. Please feel free to use organic milk, yogurt, etc. in any of the recipes!! You know I am smoothie-obsessed! 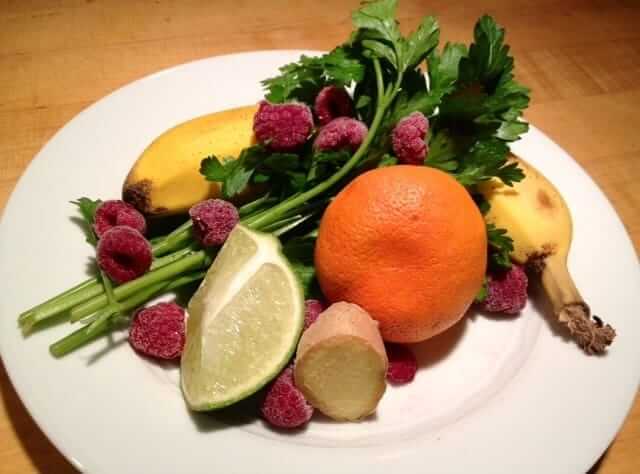 It’s such a great way to get good nutrients into your kids – love this recipe! 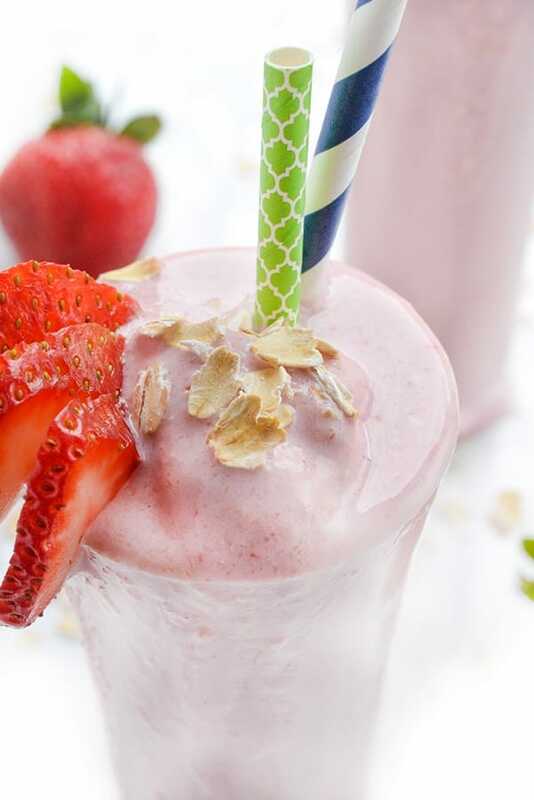 We just schlepped home a HUGE tub of strawberries today, so this smoothie is bound to happen! Love the flax seed! I’ve been trying to do a smoothie for breakfast each day. Happy to have a new recipe to try! What!! No way!! we want to try milking a cow!!! I love absolutely smoothies for breakfast! Definitely adding this one to my line up. I hope you enjoy it Kelli! Yay for smoothies!! and gosh, how good does it feel when the kids are requesting them. Yes! This one looks perfect. NO kidding right? He drank the whole thing – lol. That solves that! Now I know what I want for breakfast this morning! This smoothie looks fabulous, Liz. I have all the ingredients to make it, too! I love smoothies too and this is a great pick me up! I loooove smoothies in the summertime — it’s a perfect refreshing and easy breakfast. Gotta give this one a try soon! Loving this smoothing! What a fun trip, those cows are so cute! Mmm looks good! Strawberries are my absolute favorite! Loving the way this smoothie sounds. And look at your little cutie pie! That, right there, is my perfect smoothie! And I love that dash of cinnamon, must try next time! Thank you friend!! My son ate the entire thing – haha. Have a great week!! Okay those cows are way too cute. And I’m totally loving this smoothie! I need to get back into smoothies, this might be just what I need! I thought you’d be proud – I didn’t put any spinach in it!! :) They sure are prettier that way – hahha.